Students with print disabilities have difficulty accessing printed books and learning materials. 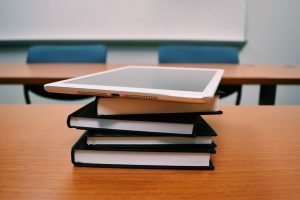 Collaborative efforts have helped to improve traditional textbook accessibility, but there is still a lot of work ahead. With the advent of digital publishing epublications can now provide access to information for students who were not able to access course materials previously. Adaptive reading systems enable a rich reading experience for them. Colleges and universities are required to ensure equal access to educational benefits and opportunities. All members of the campus communities are encouraged to follow best practices and accessibility standards. In doing so, they ensure that their content can be viewed by all. Review legal obligations for accessibility on campus. Want regular updates directly to your inbox?